Established in 2001, the Flying Calamari Bros were born and bred on the Mornington Peninsula. Today you’ll find them frequenting the local markets, festivals and major events throughout the Mornington Peninsula and greater Victoria. It couldn’t be simpler…they fry their calamari in a light batter to order and toss with salt & pepper. 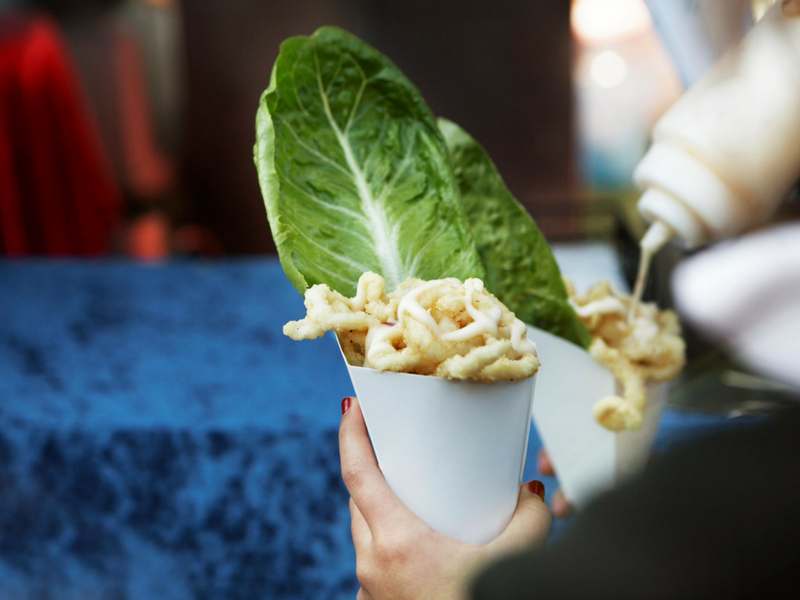 Presented in a white recyclable cone with cos lettuce and choice of homemade sweet chilli mayonnaise or lemon juice. Fishing tips are provided for free and quality ring is their guarantee … Arrr Captain!